Help Documents - Version 5 Where do I start?How do I set up the Event Contact Person? The Event Contact Person's information is PUBLIC and is displayed on all website materials: registration pages, invitations, email confirmations and confirmation pages. 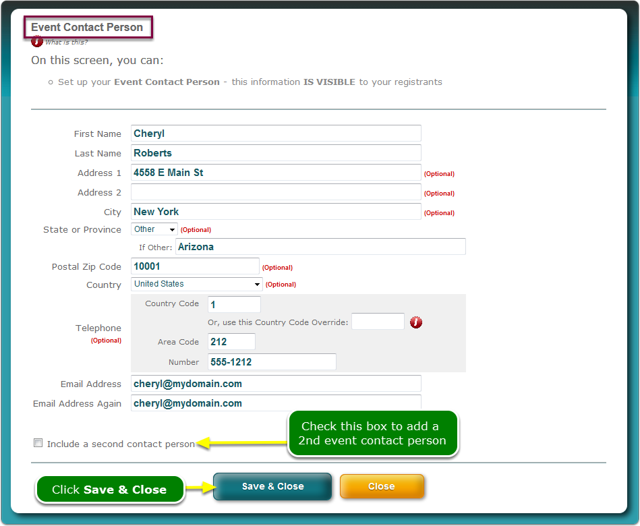 You can add set up 2 event contact persons. Where does the Event Contact Person appear on the registration page? The Event Contact Persons appear on the registration page - Open this document and look for black dot #10 - this document will open in a new window; close it to come back to this page. 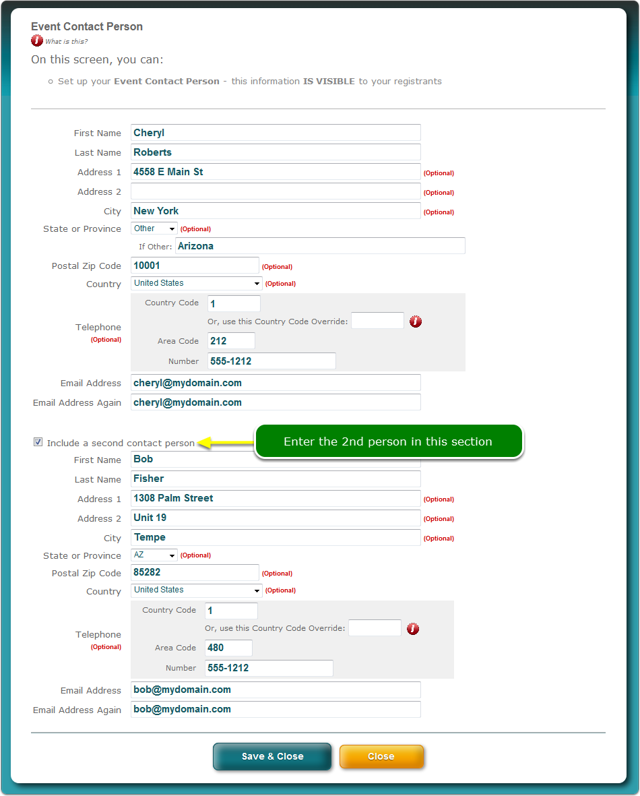 The Event Contact Person is the person to whom your registrants are directed to answer questions, phone calls, email messages, etc. The information you provide below WILL BE VISIBLE to your registrants on all registration pages and email communications. 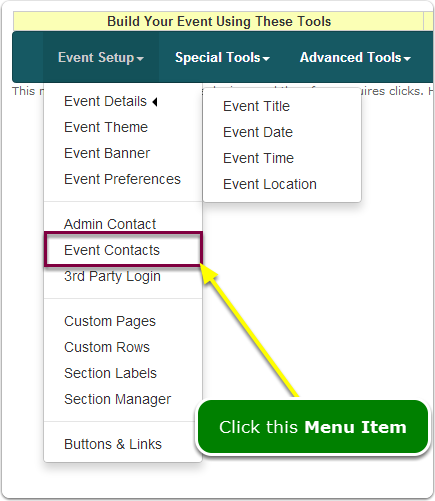 How do the Event Contact Persons display? When you have 2 event contact persons, they display side-by-side. Prev: How do I add an Event Location? Next: How do I set up the Admin Contact Person?